Question: What does a Roth IRA allow me to do that I can’t have in a Traditional IRA? Answer: Individual retirement accounts or IRA’s which currently hold about $8.4 trillion in value (Roth IRAs have only been around since 1998) started out small. IRAs, created in 1974, were primarily geared as retirement savings vehicles for employees who were not covered by employer retirement or pension plans. The other significant purpose was to create an account to hold distributions from employer plans upon a separation from service. 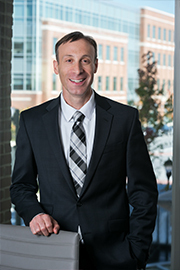 The Roth IRA gets more bang for the buck in terms of tax savings if the IRA owner is in a lower tax bracket when making contributions than later when receiving distributions (which often is the expectation for people starting their career) because it is after tax dollars going in but no tax when taken out. Significantly, Roth IRAs need not pay out annual required minimum distributions (RMD). Traditional IRA owners must begin taking RMDs after age 70 ½. Not having to take a RMDs allows Roth IRA owners to invest the funds longer and get tax free investment returns. 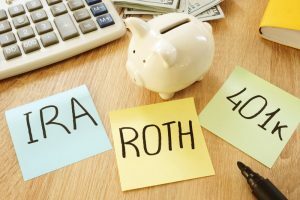 There is no age limit on making contributions to Roth IRAs; whereas a person can no longer contribute to a traditional IRA after reaching the year in which he/she turns 70 ½.
Roth IRA funds can be withdrawn at any time for any reason, tax and penalty free. By contrast, withdrawals from a traditional IRA are subject to income tax and usually subject to early withdrawal penalty if taken out before age 59 ½.